Altitude: 2000-2900 metres above sea level. 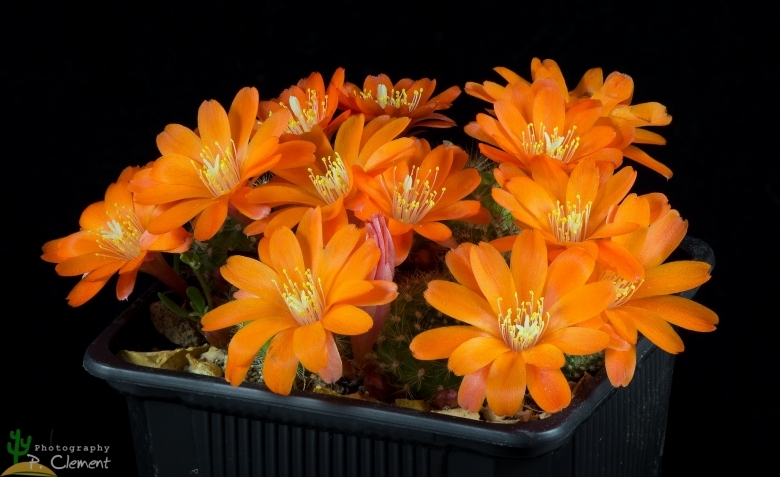 Habitat: It is found in high, dry, rocky valleys and rocky slopes of the Andes in fully exposed sites along with a rich succulent flora comprising Rebutia ithyacantha, Echinopsis obrepanda, Gymnocalycium pflanzii, Sulcorebutia vargasii, Sulcorebutia langeri, Cleistocactus candelilla, Cleistocactus vallegrandensis, Echinopsis huotii, Pfeiffera ianthothele, Roseocereus tetracanthus, Echinopsis vallegrandensis, Echinopsis arachnacantha v. vallegrandensis, Opuntia cochabambensis, Echinopsis ancistrophora and Lobivia draxleriana. Inhabitants must be very rugged in order to tolerate such extremes in exposure. Rebutia vallegrandensis is such a robust individual. 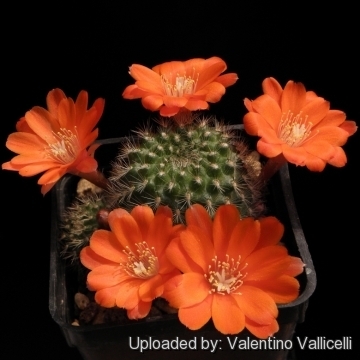 Description: Rebutia vallegrandensis is one of the many geographical forms of the extremely variable Rebutia fiebrigii. It produces vibrant orange-red flower. Aylostera pumila nom. nud. (field number L351) should also be referred here. Habit: Mound-forming plant with short bristly spines. It grows quite close to the ground and offsets only with age. It would appear that in cultivation they grow larger and cluster more vigorously than in habitat. Spines: White to brownish, fine and soft. Flowers: Startling bright orange, funnel-shaped, 3-4,5 cm long, 4 cm diameter from the base of the stems. Stigma lobes white. 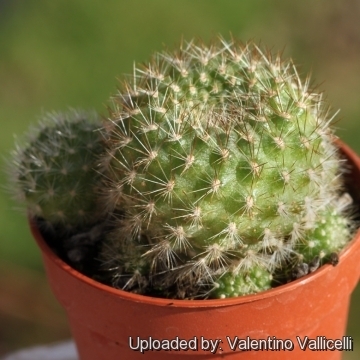 Cultivation and Propagation: Rebutia vallegrandensis comes from mountainous areas, so like bright light, and cool and dry conditions in the winter. The whole Rebutia fiebrigii complex has delightful flowers and the plants remain compact, and clumps can easily be managed by division. It is easy to cultivate and recommended for beginners.